Orange Chocolate Banana Bread with White Chocolate Chunks. This ain’t your Granny’s banana bread! 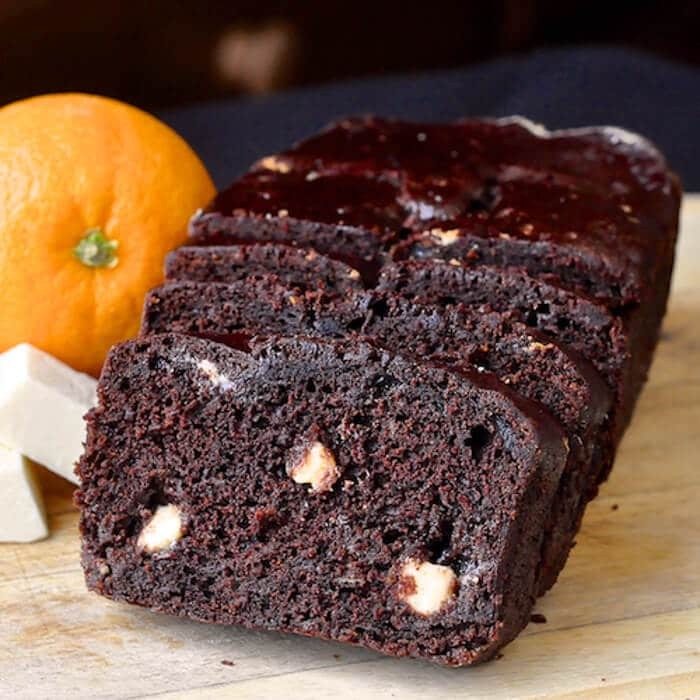 Rich, moist chocolate banana bread with orange citrus accent flavour & chunks of creamy white chocolate baked inside. When I posted the original version of this chocolate banana bread recipe it got an immediate great response. Almost immediately readers began tweaking it to suit their own taste; adding walnuts, chocolate pieces etc. My mom’s twin sister, Aunt Moo, suggested a chocolate orange version, which of course got my attention. We all know anything chocolate orange does, so I had to try it. I had some blocks of white chocolate that I purchased for an upcoming cookie recipe so I cut them into rough chunks and added them to the mix too. 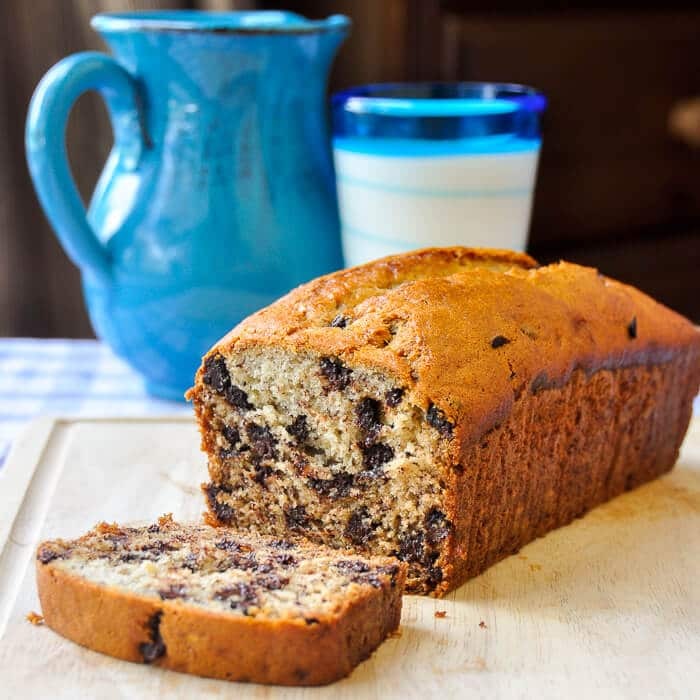 The result was a dark, rich, fragrant, super moist loaf cake with creamy nuggets of white chocolate interspersed throughout…this definitely ain’t your Granny’s banana bread! 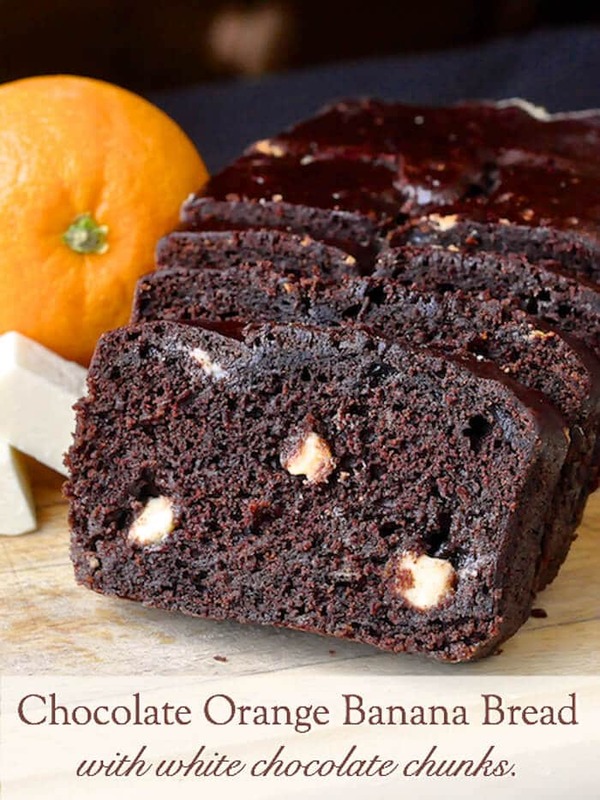 Like this Orange Chocolate Banana Bread recipe? Be sure to check out my Mom’s recipe for Old Fashioned Banana Bread. We always make it with chocolate chips because that’s what the kids love but these are completely optional find that Banana Bread recipe here. Chocolate Orange Banana Bread with White Chocolate Chunks. Definitely not your Grandma’s banana bread! Beat sugar and oil in a bowl until foamy. Add eggs, finely chopped orange zest and mashed banana. Mix well. Sift together flour, cocoa, baking soda, baking powder and salt. Fold into banana mixture alternately with orange juice. 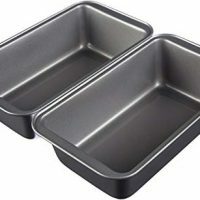 Pour batter into 1 large or two small greased loaf pans ( I use small aluminum disposable loaf pans) and bake for 45 minutes to an hour depending upon pan size. A toothpick inserted in the center which comes out clean is the best indicator that the loaf is fully baked. I SOOOO love all of your recipes! Everything that I have tried so far has been extraordinary!!!!!! This looks so delicious! I love the flavor of chocolate and orange together. I just came across your site via Pinterest, and was so excited to see that you’re from St. John’s! My grandma grew up there, and my mom and I went up there for vacation a couple years ago. I loved it! This looks absolutely delicious! I have to make it asap! Hello, quick question. Any idea what the weight of the flour and cocoa is? If not, how do you measure your flour, by the Scoop/Level Method or the Spoon-In-Cup/Level Method? Thanks! 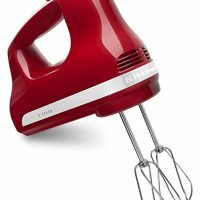 I always measure flour and other dry ingredients using a measuring cup set (1 cup, 1/2 cup 1/3 and 1/4 exact measures) I spoon it in so that it isn’t compacted and level it off with the back of a knife for an exact measurement. This cake is super light, fluffy and moist. It has a fairly strong orange flavor, which I love! Why add orange if you can’t taste it, right? I decided to add toasted almonds to one loaf instead of white chocolate and it turned out pretty good. To the other loaf I added dried cranberries. It was also good! To make muffins out if this recipe…How long would suggest to bake? Depends on the size of your muffins. I’d say check them after 20 minutes. Let the clean toothpick test be your guide. Made this last night and everyone absolutely loved it! Love your website, your facebook page and your books! I am making this for my sister! She loves Terry’s orange chocolate, so I think she will love this too! Do you mean a chocolate banana bread without orange added? or a standard banana bread recipe? Looks delicious, I’m definitely going to try this recipe. Can you tell me how much the juice of an orange is in measure? Thanks. I love your recipes – by far my favourite recipe site! Made this recipe for the second time today. ; first time I used a bundt pan, today I made muffins. I only had two bananas so used 3/4 cup of unsweetened apple sauce as well. Delicious! 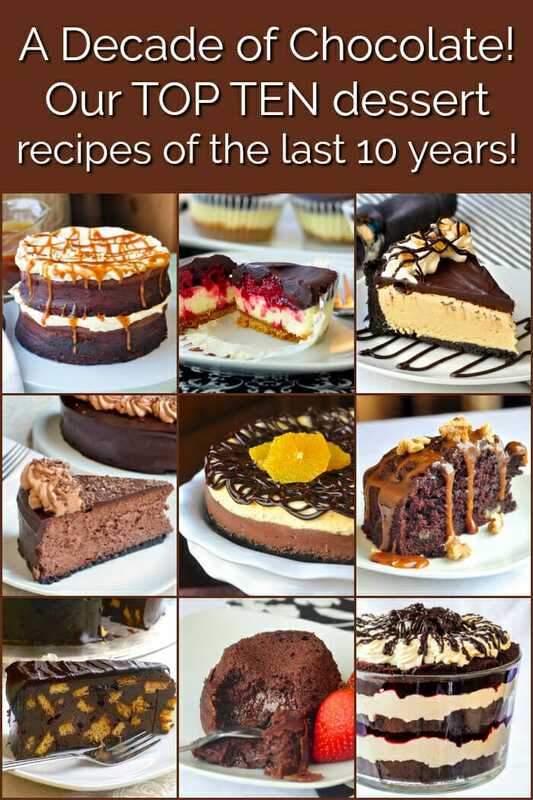 Totally love your recipes and have recommended them to best friends. This would be awesome with walnuts substituted for the white chocolate chunks too! CAN I USE WHITE CHOCOLATE CHIPS INSTEAD OF THE WHITE CHOCOLATE CHUNKS? AND IF APPROX HOW MUCH. THANK YOU IN ADVANCE. 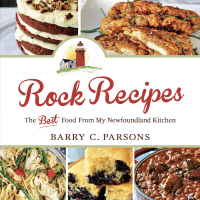 I HAVE YOUR RECIPES DELIVERED TO MY INBOX, AND I HAVE TWO OF YOUR RECIPE BOOKS, KEEP UP THE GREAT WORK. Sure, about the same amount. Would it be possible to make this with a reduced amount of sugar? Or would that ruin it? It just seems like with the banana, orange juice and white chocolate this loaf would be super sweet with the full cup of sugar. Thanks for your help!